We read an interesting article recently about how the makers of FitBit are reinventing that wearable fitness tracker as a tool for preventative healthcare. For example, a cardiologist can track activity levels and heart rate of a patient with congestive heart failure throughout the day. Employers footing the bill to provide group health benefits can use the wearable to encourage and reward employees for adopting healthier lifestyles. Such wearable technology may soon be used to track and ensure that you are taking your medications on time, or to monitor and help manage mental health. It may seem like the intrusive eye of Big Brother. On the other hand, it gives you, the average person, an optional source of motivation and reward to encourage better habits that will help you to live a more active and fulfilling life. It all falls under the umbrella of preventative healthcare. Canada’s healthcare system today (under provincial plans like OHIP), is primarily reactive. People are given little if any incentive to make healthy lifestyle choices in their younger years that will prevent them from developing health issues as they age related to lack of exercise, poor nutrition, and obesity. Instead, we wait for the health issues to arise, and then try to fight the symptoms with a cocktail of prescription drugs that may have negative side effects or interfere with each other. This despite the fact that research has shown, time and again, that an ounce of prevention can be worth a pound of flesh (or fat, as the case may be). 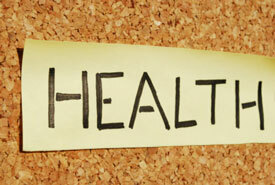 Take that silent killer that affects almost one in five Canadian adults – high blood pressure. Even losing five pounds can lower blood pressure. In fact, losing weight is often a far more effective way to manage blood pressure than taking blood pressure medication, considering that those medications can only reduce BP by so much. Why else does the conventional medical advice prescribe lifestyle changes (exercise, dietary changes, weight loss) along with medications? Or take another example – qualification for surgery. In the U.K., various regional public health care networks have already instituted policies where obese patients must lose a certain amount of weight before they will be booked for surgery. Now, this has proven a controversial practice – critics argue it is too arbitrary, and forces people to suffer needlessly in cases where, for example, they need a hip or knee replacement. This may be true. But again, it puts the emphasis on prevention. Excessive weight is undeniably a factor in poor health. Carrying around those extra pounds does take a toll on the heart and the joints as we age. It’s easy when we are in our 20s, or 30s, or even 40s to dismiss the long-term consequences of poor lifestyle habits. We trust in the assumption that our public healthcare system will be there to take care of us. When OHIP doesn’t (and you don’t have a group health plan that will) cover preventative care like personal training, nutrition counselling, eye exams, dental, or Chiropractic, it’s easy to not bother with the time and expense. We would rather spend the money on things we want to buy or do for fun. What price do you put on quality of life? It’s not much different than never getting around to getting that estate plan and will in order (which about half of us haven’t, apparently). Only when pain or loss of function has brought us to the breaking point do we then at last decide to do something. Wouldn’t it have been so much easier to have been fit and active before you found yourself in poor health? Maybe you wouldn’t be in poor health at all. So what’s cheaper in the end – being reactive or proactive? Careful – it’s a trick question. It’s not just about money, but something more valuable – quality of life.